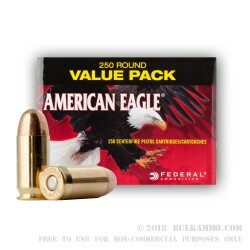 The quintessential Hardball .45 ACP ammunition made in a modern package by a proven leader in the industry and with the same characteristics that made the .45 Auto a famous military and law enforcement firearm caliber. 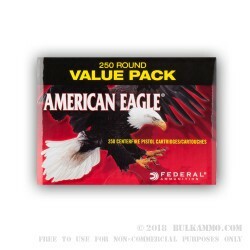 Federal owns American Eagle who produces Federal’s budget friendly line of range and target ammunition that has been made famous over the past 2-3 decades by providing a ridiculously reliable and accurate round that far exceeds the price point associated with it. 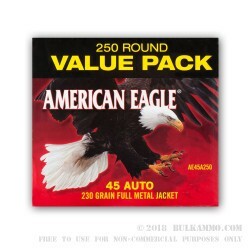 It’s fitting then, that the hardball round be one of the more popular rounds in the American Eagle line, as it espouses and shows a history of the same characteristics that makes up the American Eagle brand story. Hardball was reliable, inexpensive and full powered. It was consistent and available and had a great reputation. 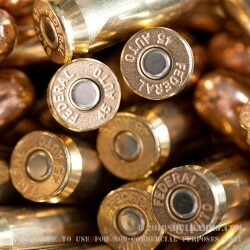 Success breeds success, and this is a perfect example. 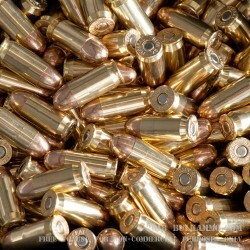 Some of the best hardball ammunition made, is this line of .45 ACP. 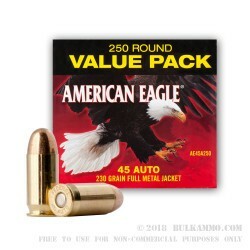 It will reliably function in any chamber that’s marked with .45Auto or .45ACP. 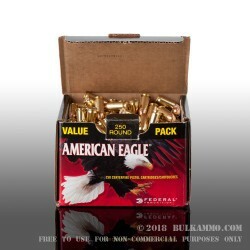 The round is sold in a 250 round case pack that offers a loose packed structure and giving you a great volume of shooting for a significant price reduction compared to competitor offerings.